New York: Gold eased on Friday as Wall Street gained on data pointing to a rebound in jobs growth in the United States, but bullion’s losses were limited by a simultaneous slowdown in wage growth. Spot gold slipped 0.1 per cent to $1,290.75 (Dh4,737) per ounce by 1.40pm EDT (1740 GMT). Prices touched their lowest since January 25 at $1,280.59 on Thursday. The metal was down about 0.1 per cent for the week. 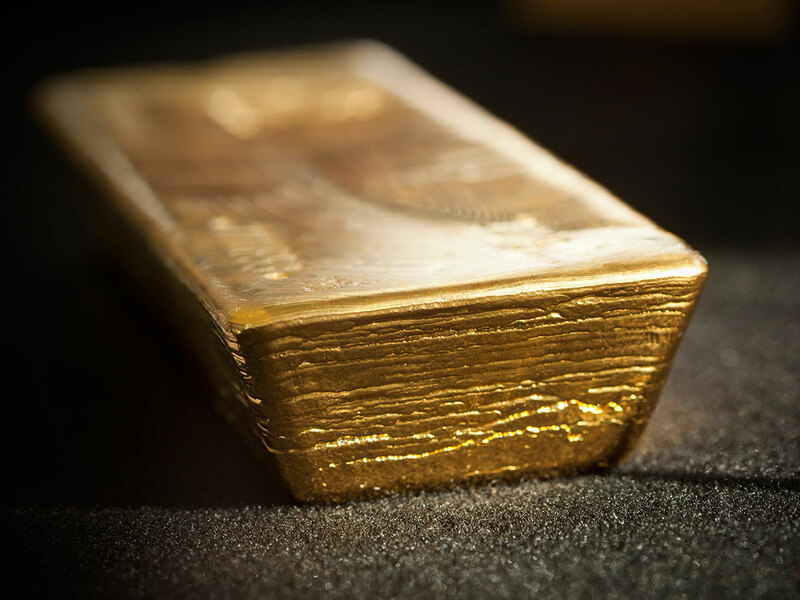 US gold futures settled 0.1 per cent higher at $1,295.6 an ounce. US employment growth accelerated from a 17-month low in March as milder weather boosted activity in sectors like construction, which could further allay fears of a sharp slowdown in economic growth in the first quarter, driving early gains on Wall Street. “It’s quite a good number ... and basically means the US economy is doing fairly well and the growth will accelerate after a slowdown in the first quarter,” SP Angel analyst Sergey Raevskiy said. “It’s all good for the economy and equities, but not for gold.” Gold dipped as much as 0.6 per cent at one point following the release of the report. “The decent jobs report was enough to rally the US stock market to multi-month highs, but not strong enough to change trader ideas that the Federal Reserve will continue to be patient on any US interest rate increases,” Jim Wyckoff, senior analyst at Kitco Metals, wrote in a note. Also weighing on bullion was improved risk sentiment driven by optimism surrounding a US-China trade deal, which kept the dollar supported. Holdings in the world’s largest gold-backed exchange-traded fund, SPDR Gold Trust, were at their lowest since December 10. Spot platinum dipped 0.3 per cent to $895, having earlier touched its highest since mid-June last year at $907.63. The metal is up about 5.7 per cent this week, the most since January 2017. “Platinum is probably benefiting at the expense of palladium, as the market takes a view on auto-catalyst substitution,” said Nicholas Frappell, global general manager at ABC Bullion. The spread between palladium and platinum has declined nearly 40 per cent to around $451 an ounce from a record $753 in mid-March. Both metals are primarily consumed by automakers for catalytic converter manufacturing. Palladium rose 0.4 per cent to $1,372.01 an ounce, but was on course for a second weekly fall. Silver fell 0.6 per cent to $15.06 per ounce, having fallen to its lowest since the end of December in the previous session.